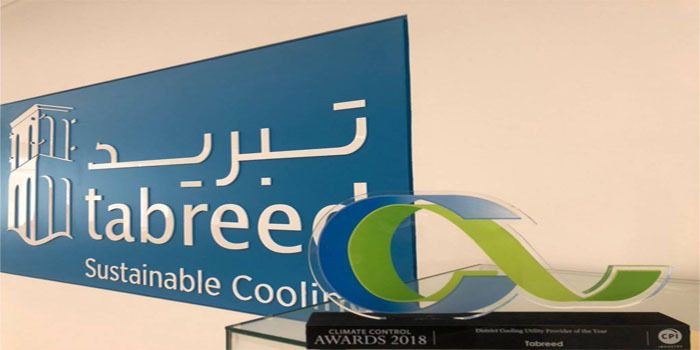 National Central Cooling Co (Tabreed), listed on the Dubai Financial Market (DFM), is considering investment opportunities outside the UAE, mainly in Saudi Arabia and Egypt. The Abu Dhabi-based firm will focus on business growth in Egypt and Saudi Arabia, the most important market outside the UAE, Al Bayan Newspaper reported, citing Tabreed’s CEO. “We have acquired a 20% stake in Saudi Tabreed, which will add to the company’s growth and turn it to a strategic investor,” Jasim Thabet said. Tabreed is the largest player in the Abu Dhabi market with a stake of 75%, while it owns the fourth largest stake of 10% in Dubai’s market, Thabet indicated. In January, Tabreed reported a 7% year-on-year increase in profits for the full-year 2018, with AED 427.62 million in profits, compared to AED 400.13 million in 2017. The leading UAE-based regional cooling provider also posted revenues of AED 1.4 billion last year, 3.4% up from AED 1.3 billion in the prior year.